Our client in the Mission District of San Francisco hired us on to redo her 400 sq foot apartment and requested that all materials be reused or custom made from reclaimed wood and hardware. Aaron Kllc of The Happy Collective created this beautiful table out of discarded wood and broken furniture pieces. 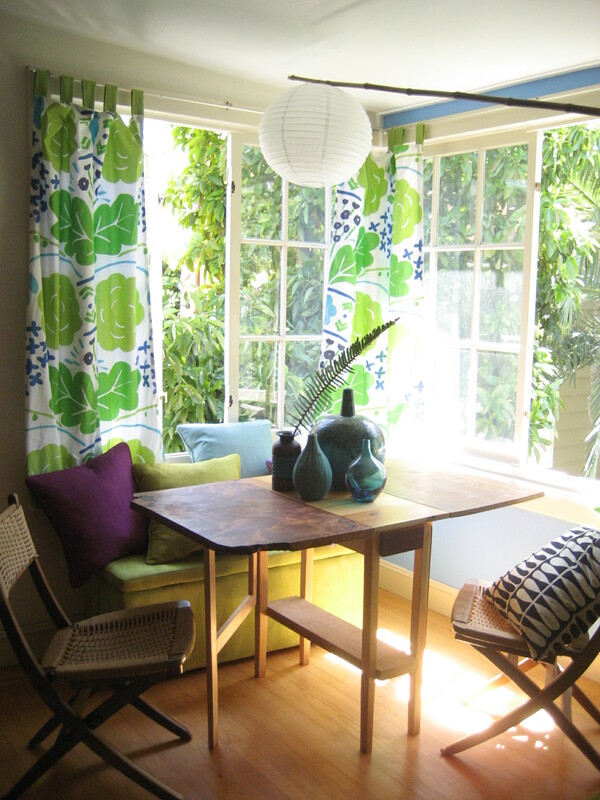 We found these 2 Hans Wegner dining chairs and pottery at the local flea market. Wow. 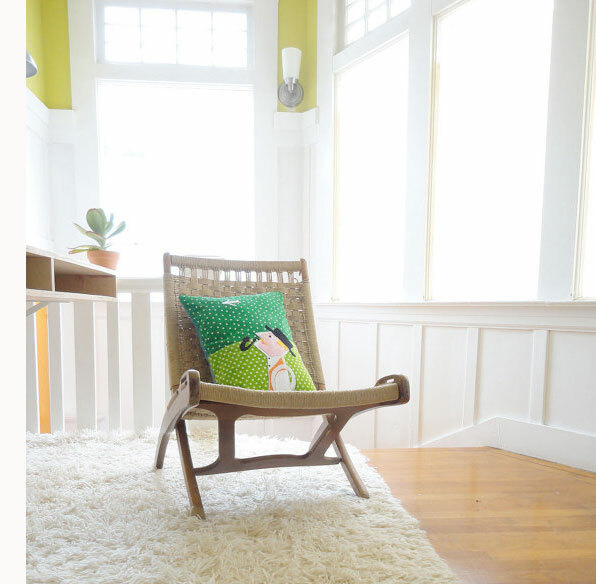 We were just featured in Freshome for our makeover of Myke Reill’y Upper Castro Cottage in San Francisco! Our handmade pillows and sculptures are so universal in theme, they practically SCREAM happiness and enlightenment. We’re now selling on Etsy! This cool interlocking coffee table is two tables in one. They can be arranged in any pattern that pleases you! 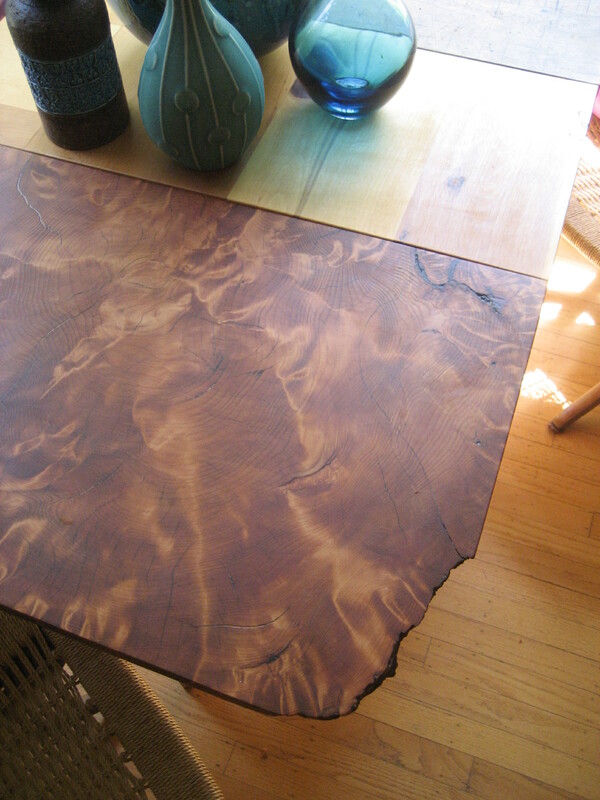 It was inspired by the darker and heavier redwood burl tables from the 20th century. We sculpted it out of FSC certified mahogany. 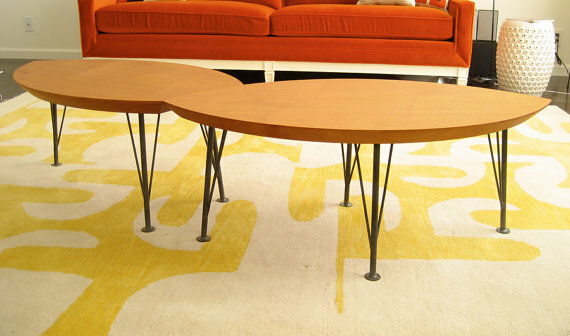 The legs are mid-century inspired steel with cute round feet. We make custom furniture with different kinds of wood. Currently we’re filling out our line of Eames inspired plywood furniture. Stay tuned!